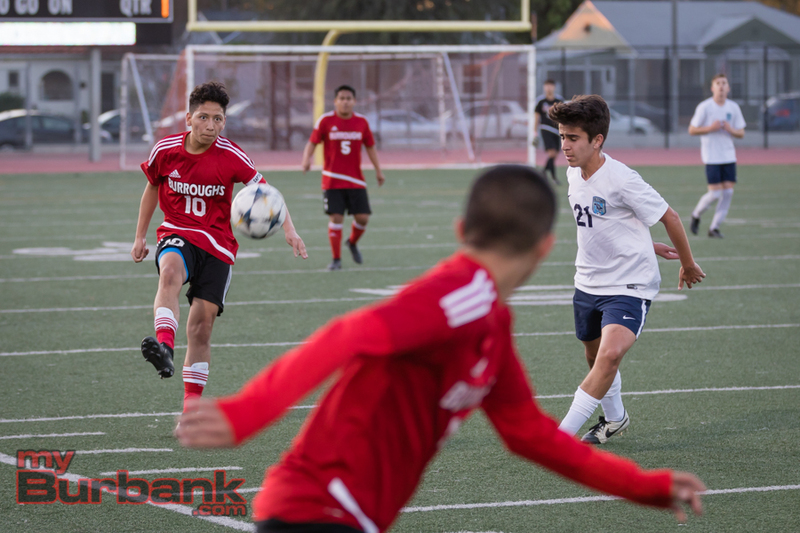 It took the Burroughs High boys’ soccer team a while to get going. 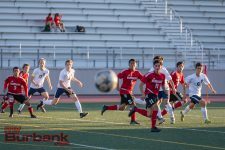 But once the Indians got going they were not going to be beat, winning 3-0 on the road against Glendale High Friday in a Pacific League contest. 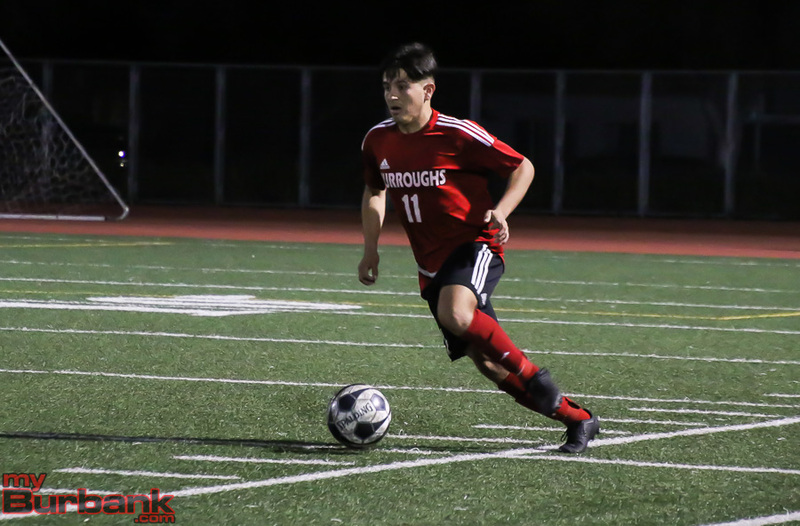 Burroughs (4-2 overall, 2-0 in league) scored all three of its goals in the second half, two of which were scored by Alcantar. 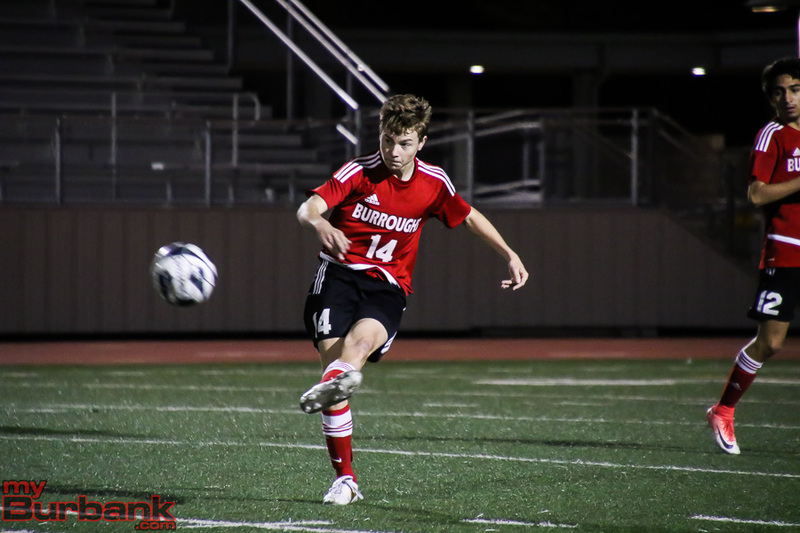 The senior got Burroughs on the board in the 48th minute when he curled a free kick inside the left post. 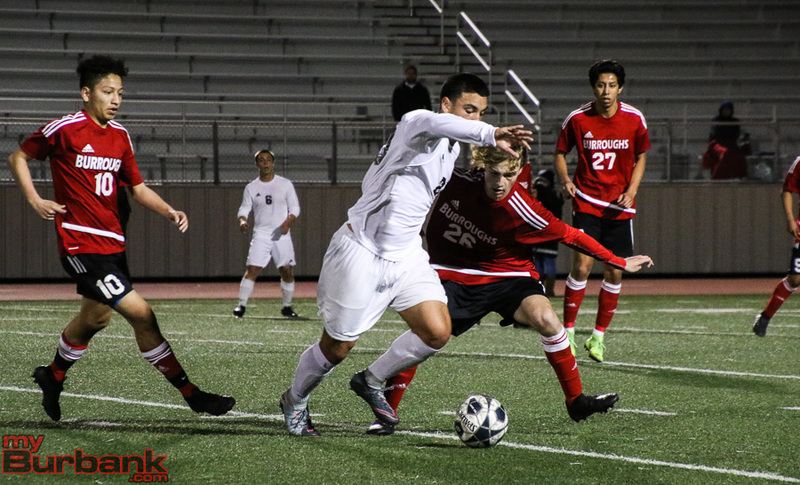 Burroughs coach Mike Kodama was glad the second-half changes he made paid off. 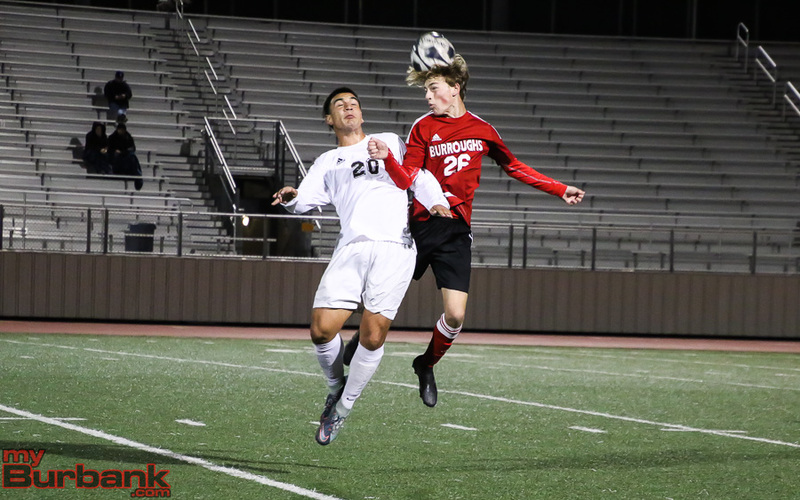 Another switch at halftime was inserting freshman Wilson Harting as a center back alongside senior Luis Cortes and junior Carter Wells in a 3-5-2 formation. 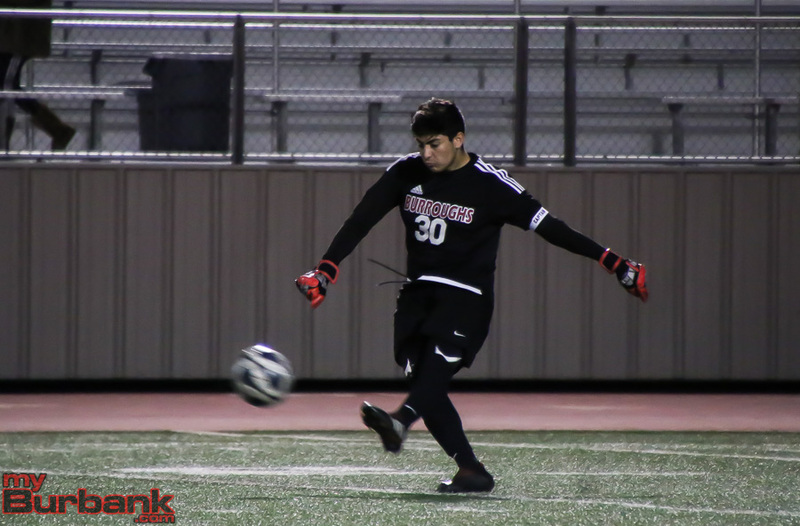 The trio helped preserve a shutout for goalie Alfredo Tejada. 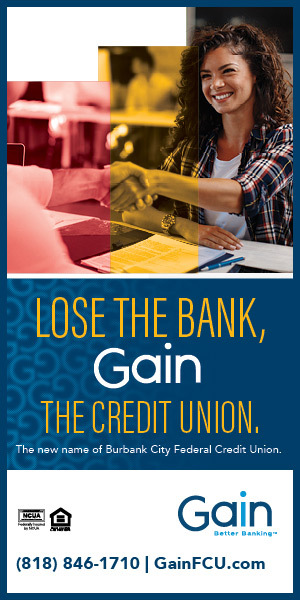 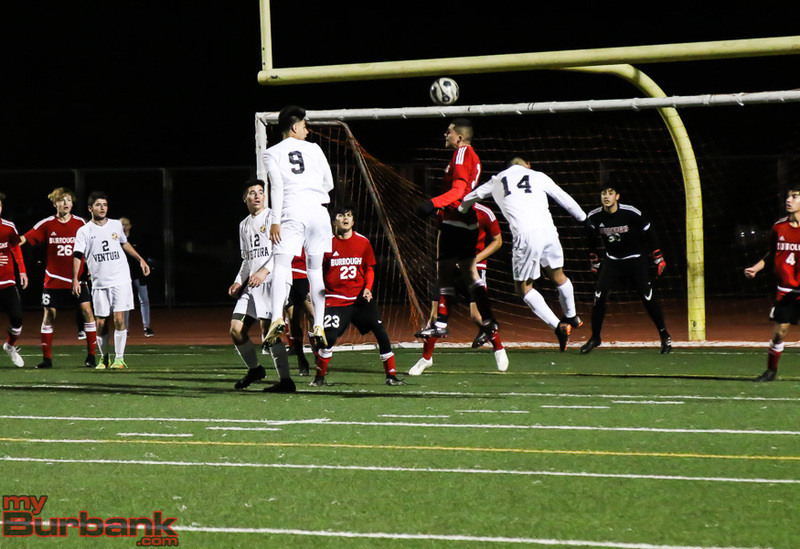 Burroughs nearly scored again in the 56th on a give and go between Alcantar and Carlos Rosales resulted in Alcantar hitting a curling shot against the right post. 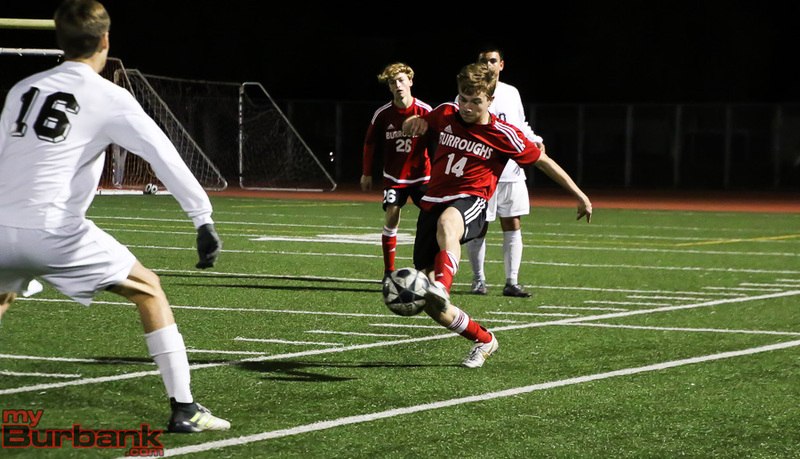 Sam Hawksworth nearly put in the rebound, only to have it snatched away on the goal line by a Glendale defender. 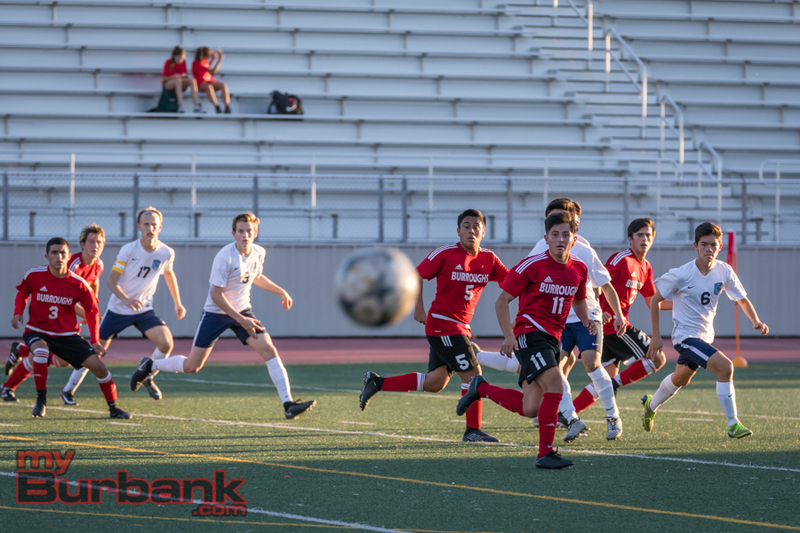 Burroughs doubled its lead in the 69th minute when Rosales lofted a pass to Gonzalez, who was able to beat Glendale goalie Hrak Tahmasian in a foot race for the loose ball and put the ball into the empty net. 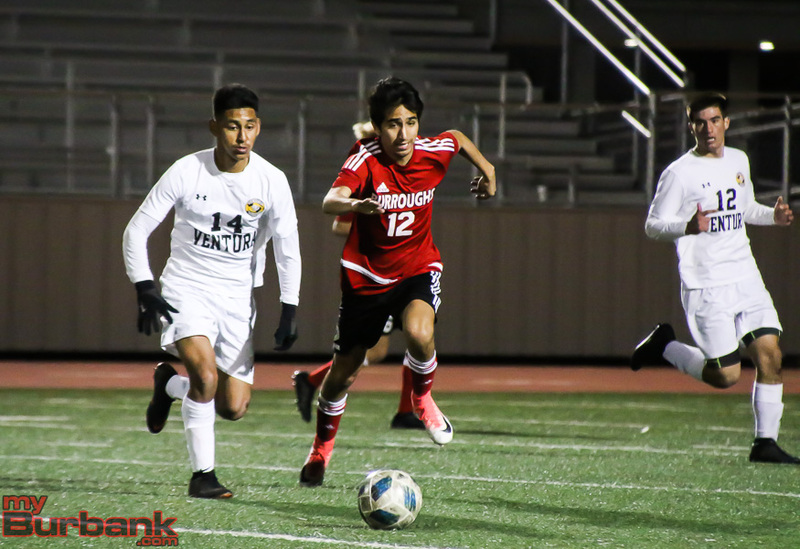 The Indians went up 3-0 in the 73rd minute when a cross by Gonzalez from the right side found Alcantar, who finished it off by getting it past Tahmasian. 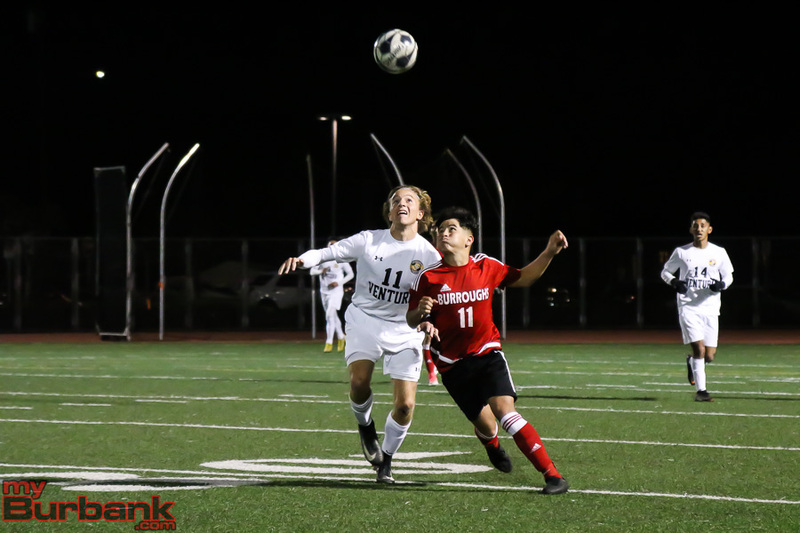 Glendale fell to 3-2-1 overall and 1-1 in league. 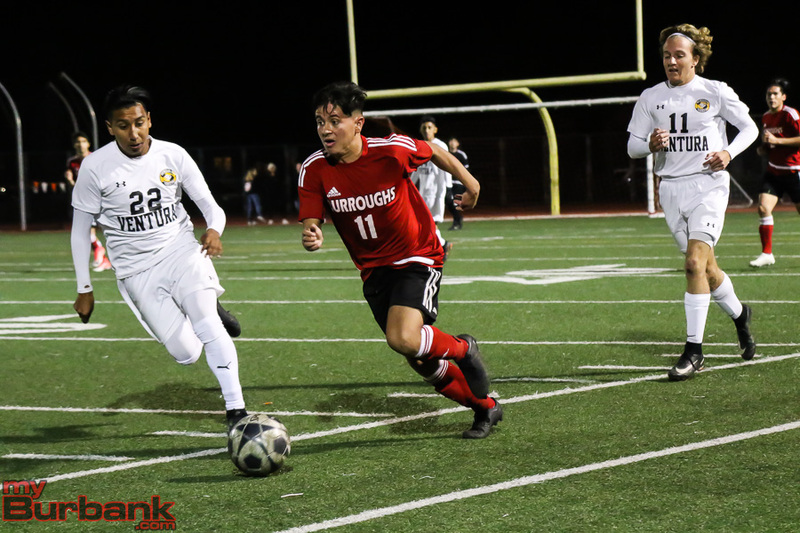 Burroughs will host Crescenta Valley on Tuesday at 3:30 p.m. in what could be a key match in the race for the Pacific League title. 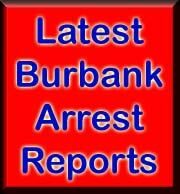 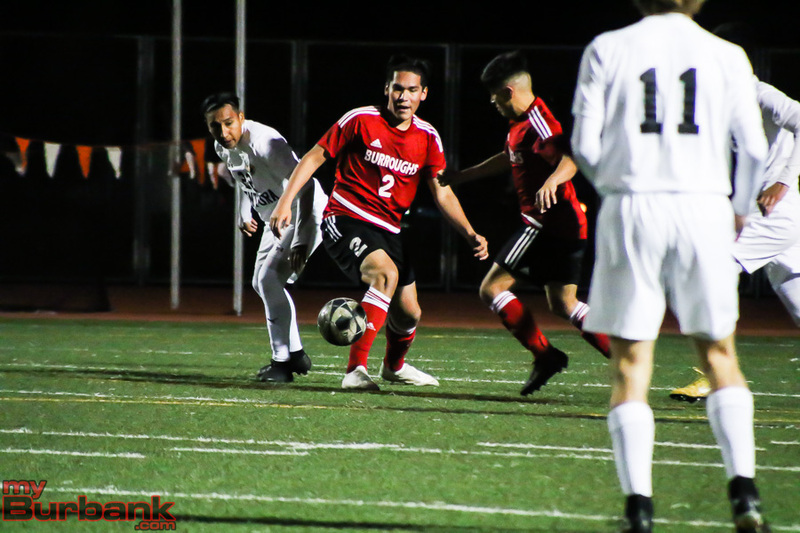 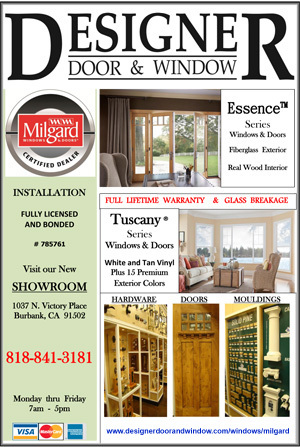 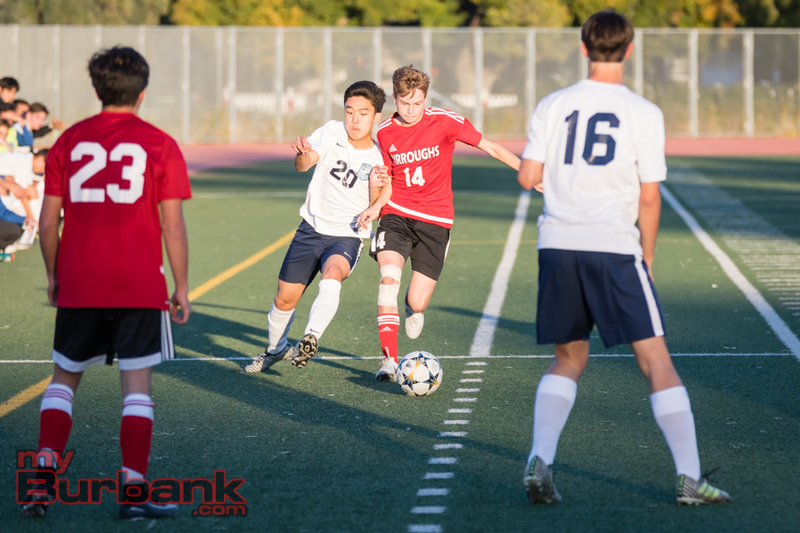 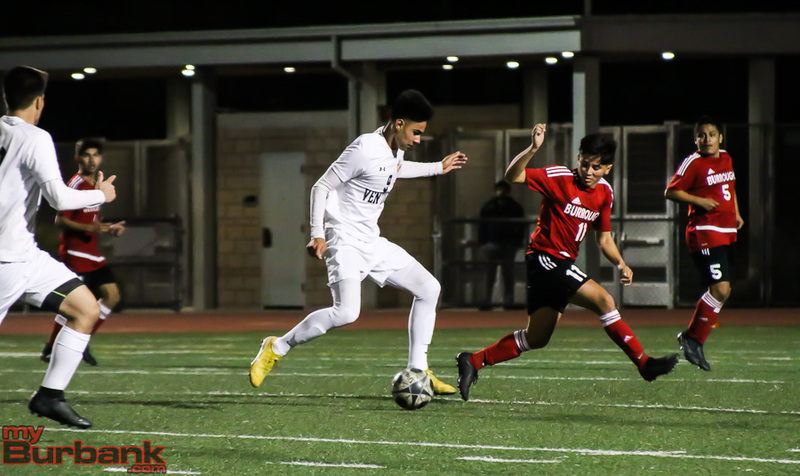 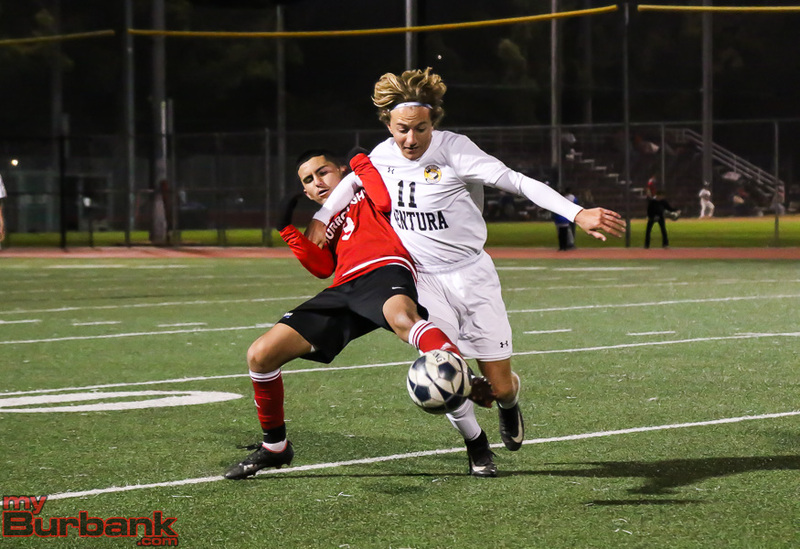 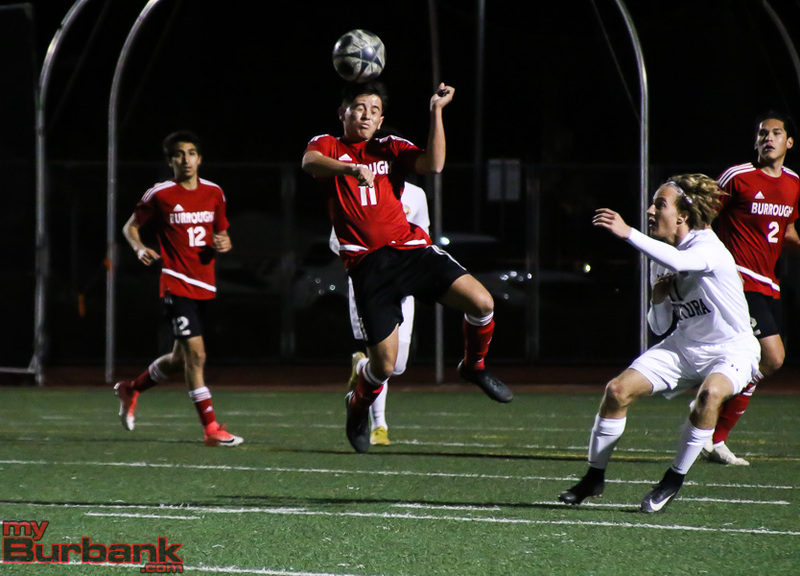 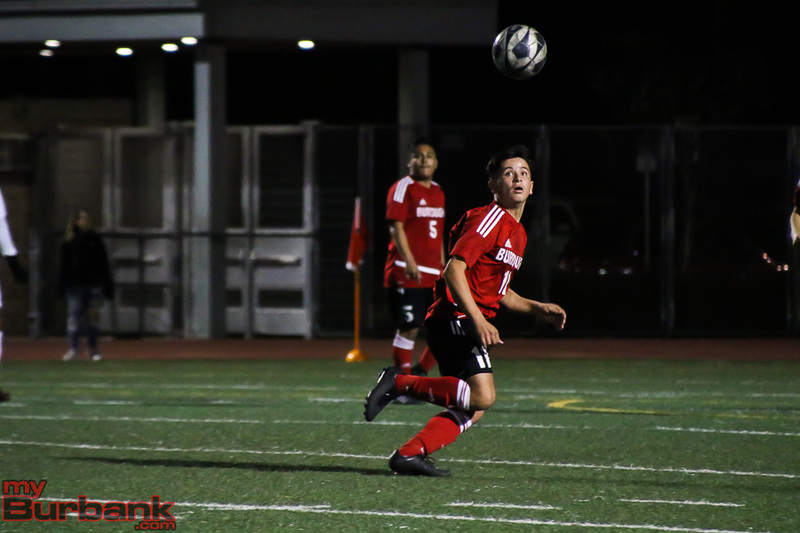 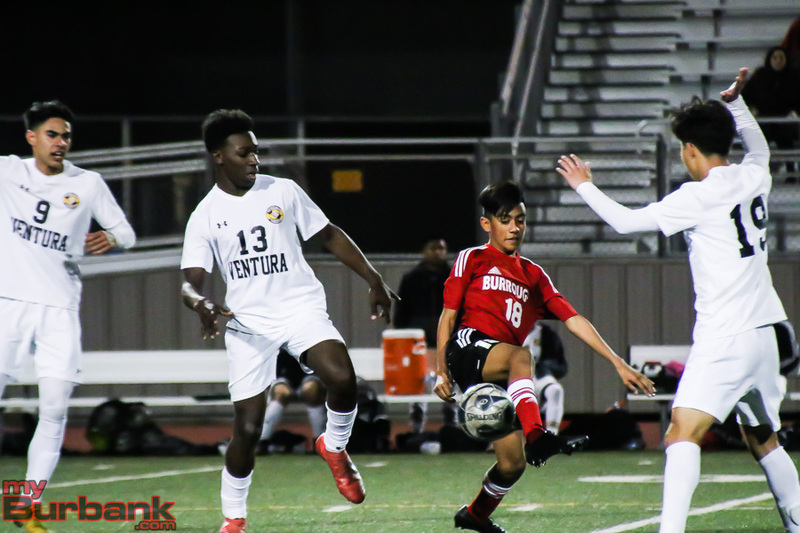 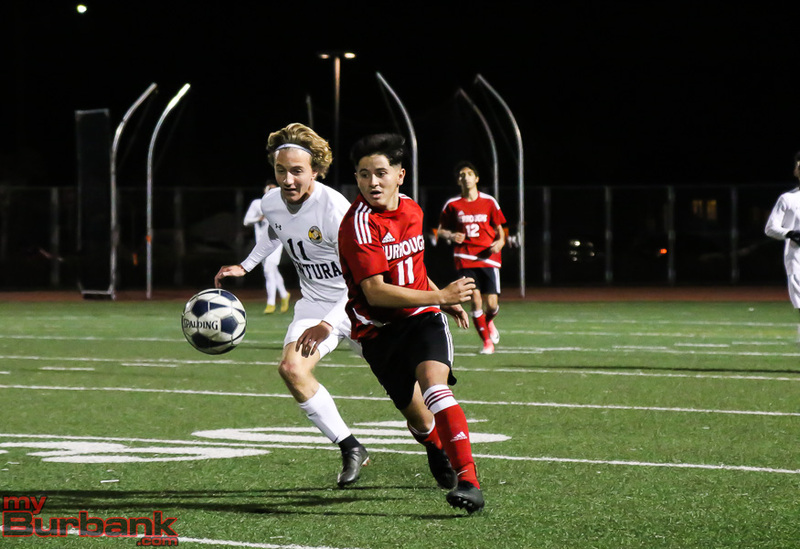 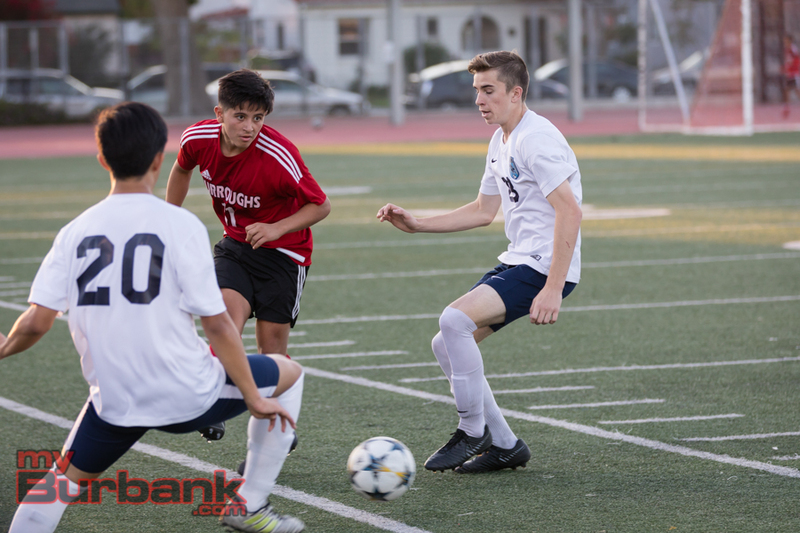 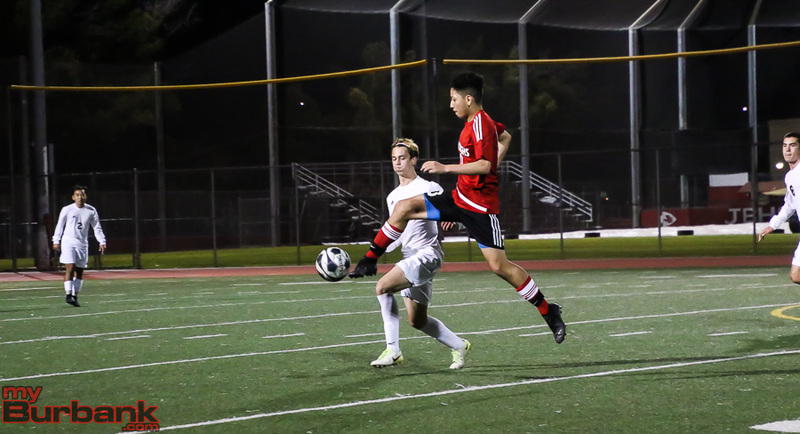 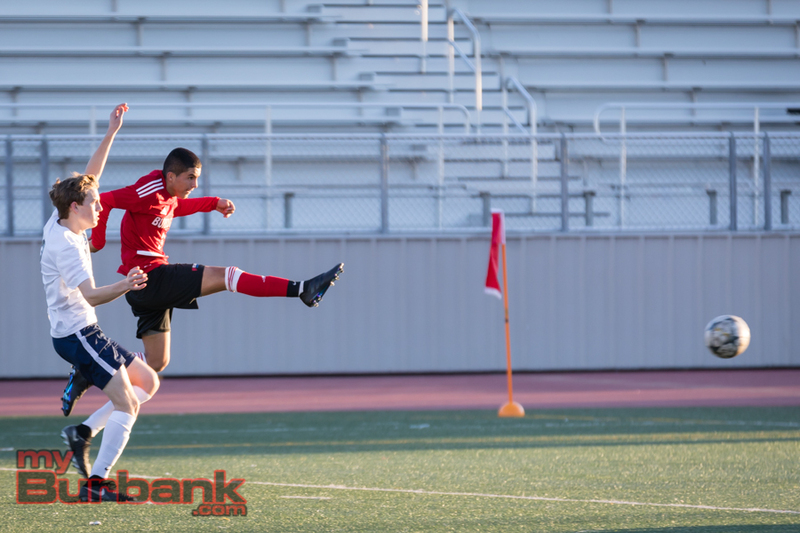 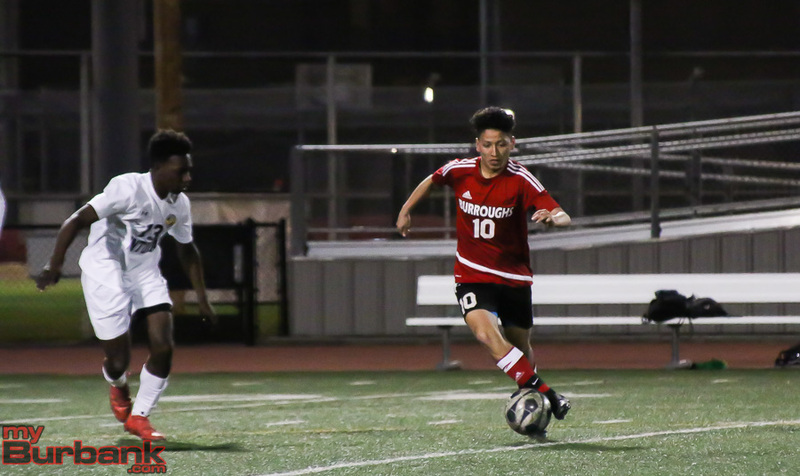 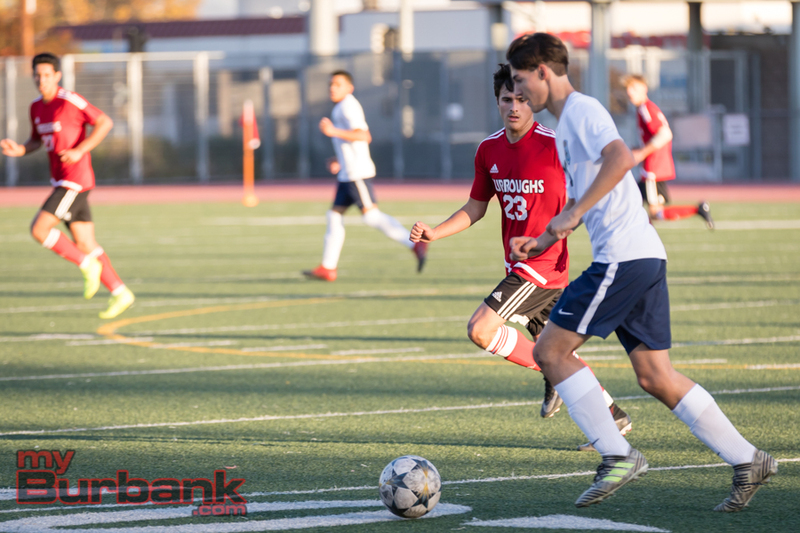 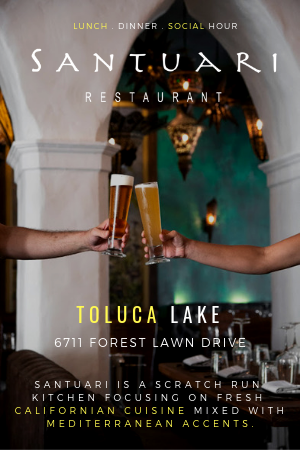 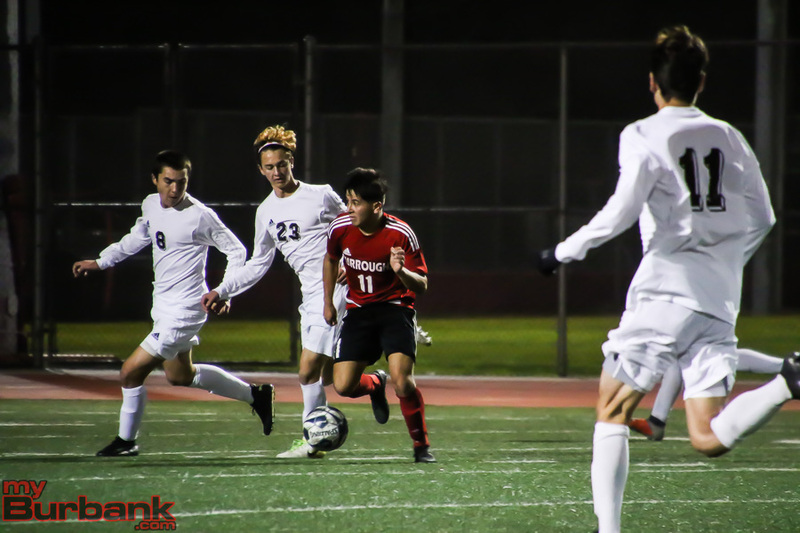 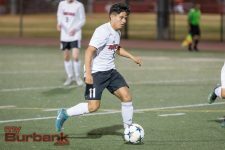 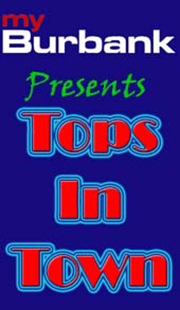 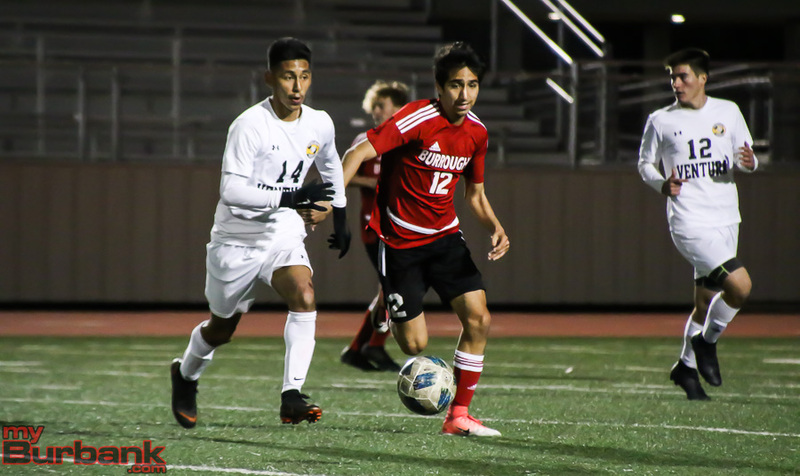 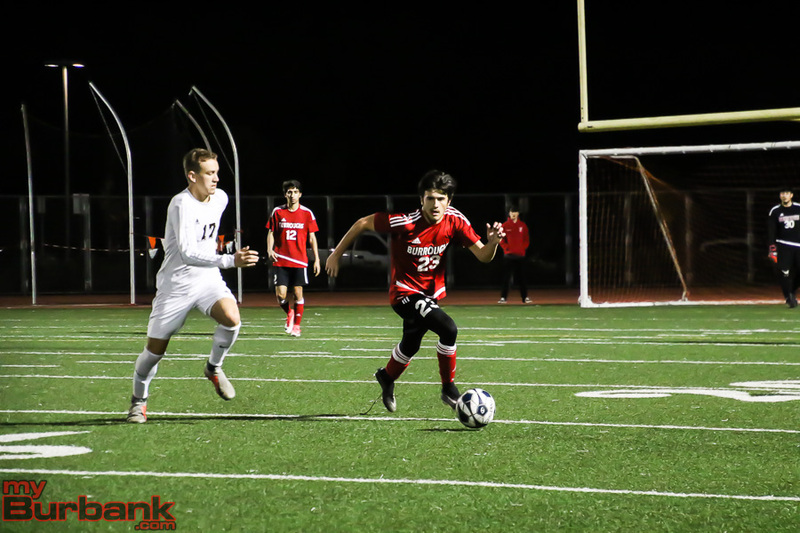 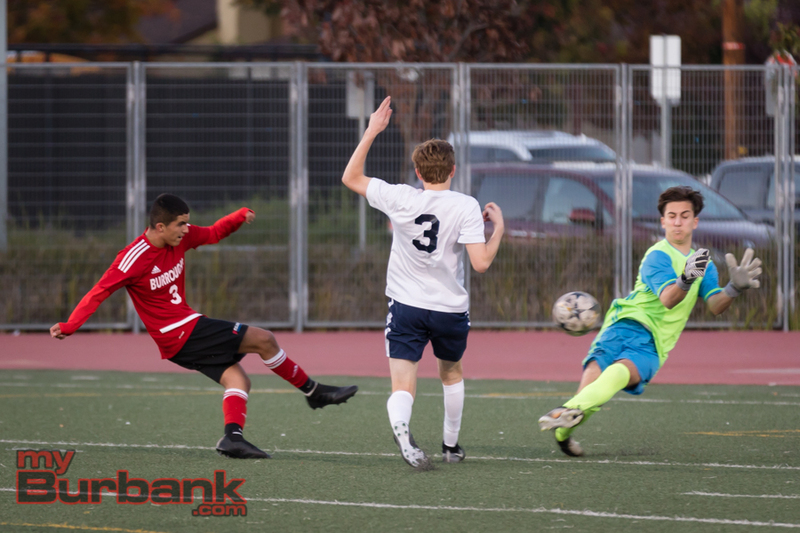 This entry was posted in Boys Soccer, Sports and tagged Alfredo Tejada, Burroughs boys soccer, Carlos Rosales, Carter Wells, Esteban Alcantar, Luis Cortes, Manny Gonzalez, Patrick Abarca, Sam Hawksworth, Wilson Harting on December 7, 2018 by Jim Riggio.